Terry Harrison's clear, no-nonsense advice and easy to follow instructions make painting accessible for people who have never had the confidence to try before. 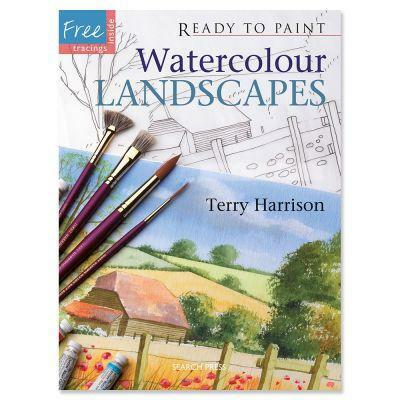 Readers who want to learn to paint but can not rely on their drawing skills have everything they need in this book. The outlines of five paintings (plus one bonus picture) are provided to pull out from the centre of the book. Clear instructions and step-by-step photographs show how to transfer the outlines on to watercolour paper and then how to create beautiful watercolour paintings. No drawing skills are required with this easy-to-follow book. Outlines are provided as pull out tracings and Terry Harrison's no-nonsense instructions clearly illustrate all the techniques. Six reusable tracings to pull out. Terry Harrison grew up in Norfolk. His early art education was basic and he never dreamed that he would become an artist. At fifteen, Terry moved to Hampshire and was inspired by a brilliant art teacher. He took O and A levels in art, then won a place at Farnham Art School at the age of sixteen. He became a graphic artist, but continued to paint in his spare time. In 1984 Terry gave up his job to paint full time. He demonstrates to artists' groups and teaches on painting holidays. He has also developed a range of his own brushes and paints. He is the author of many best selling books on painting with acrylics and watercolours. Terry now lives in the Cotswolds.